Ha ah ah ah… Ha ah ah ah… Shine On! Shine On! JAM Project performing for the first time the song Shining Storm in an event dedicated to Super Robot Wars OG: The Moon Dwellers. 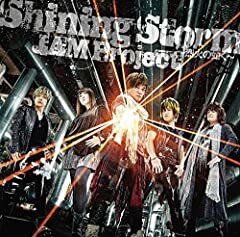 JAM Project SHINING STORM 烈火の如く Super Robot Wars ? Paris. SHINING STORM in Bon Jovi YOU GIVE LOVE BAD NAME il 7.8.2012 a Magliano de' Marsi.